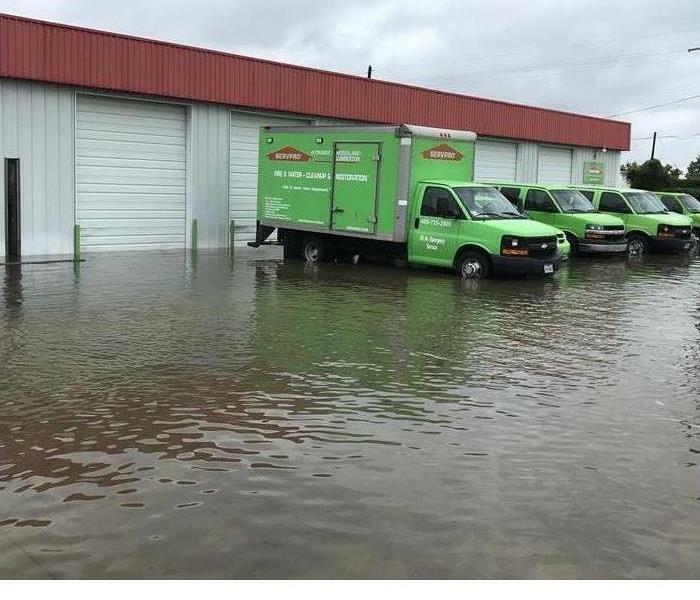 SERVPRO responding immediately to a storm disaster. Storm damage can cause a significant amount of loss to your home or business. We understand the immense amount of stress natural disasters bring, therefore, we offer 24/7 emergency services to assist you. Our goal is to always ensure the safety of our customers and provide immediate restoration services. Storm damages can range from collapsed roofs to standing water throughout the home. This can leave not only your house damaged but all the valuables inside as well. We have gained an extensive amount of knowledge from being in the restoration business for 14 years. Here are a few steps to take after you experience storm damage. Assure your home or business is safe to stay in. In addition to damages like collapsed roofs and standing water, it's important to look out for sharp broken objects around the house as well. If your home is safe to stay in, photograph all damages in your home. This will ensure your insurance will fully compensate you for all damages to your valuables and structure of your property. Contact your insurance company so that you can be assigned an adjuster to come out and scope the home to determine the amount of damage to the property. Contact SERVPRO immediately, we respond to claims 24 hours a day and 7 days a week, to begin the mitigation and restoration process. Our trained and insurance approved teams can take the proper steps to property dry your home and restore it back to preloss conditions. SERVPRO of The Woodlands/Conroe is proud to serve you during your time in need. If you ever experience a storm loss, never hesitate to give us a call, we will be over right away. Our office services greater Montgomery County including The Woodlands, Conroe, Montgomery, Spring, Rayford and Oakridge areas. This home experienced soot and smoke damage. Soot and smoke damage are some of the most destructive components of a fire loss. Typically fire damage is isolated to one area of the building, however, smoke can travel to multiple rooms. In fact, smoke entering the air conditioning and heating system and transferring throughout multiple areas of the building is a common issue. Soot is the settled particles from smoke. In most cases, soot can be found on all surfaces, especially in the areas affected by the fire. Granite, wood and many other materials can prolong exposure to sitting soot and permanently stain and damage the materials. SERVPRO has teams of specially trained technicians whose number one priority is to restore your property! We thoroughly clean the soot residue off the surface of your equipment and furniture with our specially formulated remediation solutions. In addition, we utilize custom cleaning tools that allow us to clean the interior structure of the building. During the entire process, a dedicated SERVPRO Production Manager will work with your insurance company to determine the best restoration process for you. We work hand in hand as a guide for both you and your insurance adjuster to determine the most cost effective and appropriate solution to your unique claim. 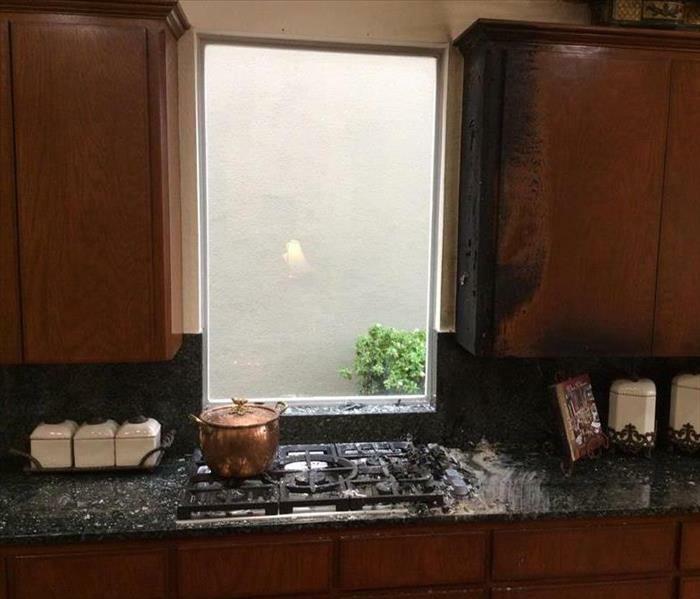 The kitchen area of this property experienced a fire loss. Fire reconstruction is an essential component of restoring property after a commercial fire loss. The mitigation process consists of reconstructing any areas of the building that experienced total lost due to the fire. SERVPRO is equipped to complete A-Z turnkey repairs to your damaged property that was affected by the fire. This could be as simple as replacing ceiling tiles and insulation or as difficult as reconstructing the complete interior building for catastrophic fire loses. Our expert team, with nearly fifteen years of hands on experience, has handled thousands of commercial fires losses. Whether you have an isolated small fire or one that requires extensive construction, our trained and dedicated Production Managers can assist in developing a turn-key “A-Z” plan that will get your building back to its original condition. SERVPRO’s top priority is to ensure you have a smooth process when experiencing fire loss. We encourage you to contact us immediately to quicken your restoration process. As soon as we are notified, we can began working with your assigned insurance adjuster on getting you back to business! This facility experienced severe fire damage. Fire damage can be extremely detrimental to your commercial property, therefore, it’s very important to take caution and know the right and wrong actions to take after a fire. Once everyone is safely out of the facility and the fire is extinguished, we highly suggest calling your insurance company to come and inspect the damage. After they file your claim, we recommend immediately contacting SERVPRO to begin the restoration process. It’s our top priority to prevent further damage and restore as many valuables in your property as possible.Our goal is to alleviate stress by extracting the water left from firefighters as well as clean the valuables that are salvageable after the fire. Having your salvageable and non salvageable items separated will help you document your valuables for your insurance. We suggest taking clear photos and videos of your destroyed items to help communicate with your insurance company. I didn’t start the fire, why do I need to file an insurance claim? Answer: In most cases, the property owner is responsible for restoring their commercial property. Additionally, the tenant holds responsibility for their business content, such as equipment, computers, furnishings and tenant improvements. Regardless of how the fire was started or who is at fault, it is each person’s responsibility to remediate and restore their property. Who is responsible for redecorating the interior of the building? Answer: In most cases, the tenant is responsible for reconstructing the interior of the lease space. This will include: removing drywall, replacing flooring, and restoring the ceiling. Typically, the owner of the building is responsible for reconstructing the building. This will include structural components of the building, HVAC system, windows, exterior doors, elevators and any exterior portion of the building which may include landscaping. In most cases, any belongings that existed in the building prior to the tenant’s arrival is considered the responsibility of the property owner. After a fire at your The Woodlands, TX, business, there's liable to be a significant amount of water damage in addition to the fire damage. It's likely that automatic sprinklers have gone off, and that at least one fire hose was used to extinguish the flames. 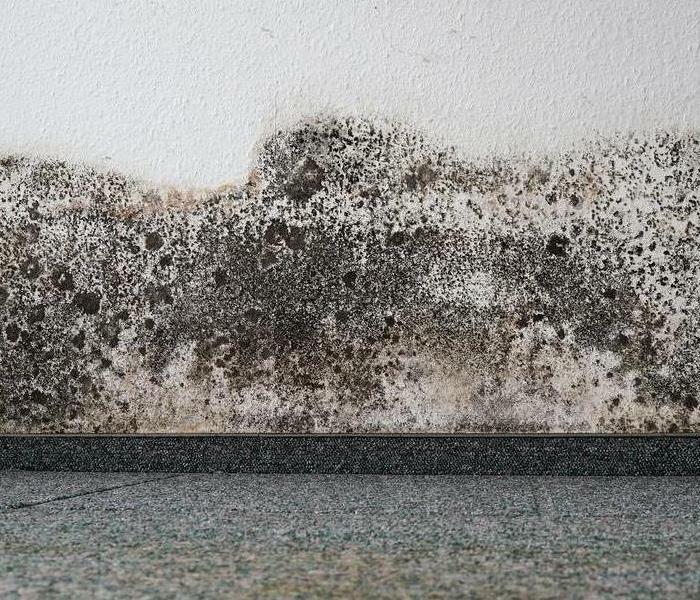 There may be saturated drywall and carpeting, which can lead to a mold problem if not addressed promptly. The restoration company first makes a careful inspection, assessing the water and fire damage and looking for any possible hidden problems, such as water behind walls. From their assessment they can determine which specialized equipment and techniques are best suited to the task. As quickly as possible, the technicians begin the process of water extraction. This minimizes the chance of more damage from secondary sources such as mold. Any excess water is removed, using heavy-duty pumps and vacuums. At this point, the restoration team focuses on removing any moisture or humidity that remains. This is done through the use of professional-strength dehumidifiers and air movers. 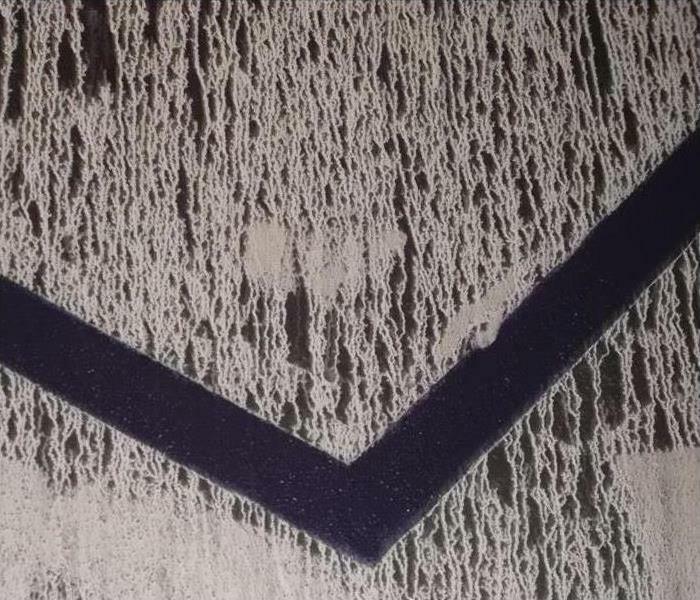 After everything is thoroughly dried, the remaining items and surfaces are treated to remove any threat from microbes or mold, using a variety of specialized methods. Any lingering odors are dealt with by using air scrubbers and foggers. As soon as all moisture has been completely extracted and any threat from pathogens has been eliminated, the repair and restoration work can start. Depending on the extent of the damage, this might involve simple tasks like replacing carpets and painting, or more complex work like rebuilding entire rooms. If you've had fire damage at your business, you're most likely going to have to deal with water damage as well. Hiring a restoration company can ensure that both problems are dealt with quickly, safely and efficiently. Regular furnace maintenance can promote safety and keep heating costs low. Experts recommend scheduling a professional inspection at least once a year and performing regular checks and maintenance on a furnace in a home in Conroe,TX. Follow these guidelines to prevent a heating fire and the need for fire cleaning. An inspection may cost anywhere from $80 up to $150. This preventative investment is less expensive than cleaning up after a fire. Make sure that the furnace service technician checks and cleans every component that is necessary to keep the furnace functioning safely. Use a vacuum to remove buildup from furnace components. A clean furnace will function at maximum efficiency with less risk of fire. A furnace requires regularly scheduled maintenance to operate safely. In addition to a professional inspection every fall, homeowners should also perform periodic checks when the furnace is being used daily or frequently. If a heating fire breaks out, it will be necessary to replace the furnace. A fire cleaning restoration and smoke cleaning service can also restore damage caused by a furnace fire at a residence in Conroe,TX. 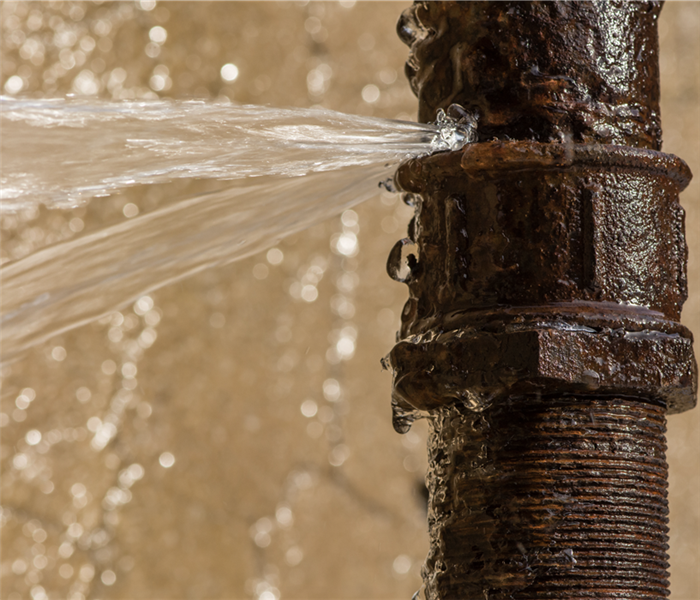 If you are stuck with a broken pipe at your commercial establishment in Shenandoah,TX, you may have heard about Category 2 water damage and are finding yourself left with a lot of questions. Will water pipe repair address the issue? How damaging is this type of water? Fortunately, we have the answers you are looking for. Here are three common questions about Category 2 damage and responses to each. • Category 1 damage, which is also known as “white water.” This is clean, fresh water. • Category 2 damage, also known as “gray water.” This is water that sat too long. • Category 3 damage. This is also known as “black water.” This water is contaminated. In other words, Category 2 damage started out as clean water damage, but sat too long and became somewhat contaminated. Water from a broken pipe would be gray water of this kind. If you haven’t completed the water pipe repair and the moisture has sat for a couple of days, it may now be Category 2 water. As mentioned above, water that sits too long simply becomes gray water on its own. It usually comes from a higher level and seeps through building materials after your building becomes flooded. For example, water that starts on the second floor of your building is usually Category 1 water but then becomes Category 2 water as it trickles down to the first floor. How Can I Address It? If you handle your water pipe repair quickly, your clean water will not likely turn into Category 2 water or cause significant damage. Seek help as soon as your building is damaged to prevent a huge catastrophe. 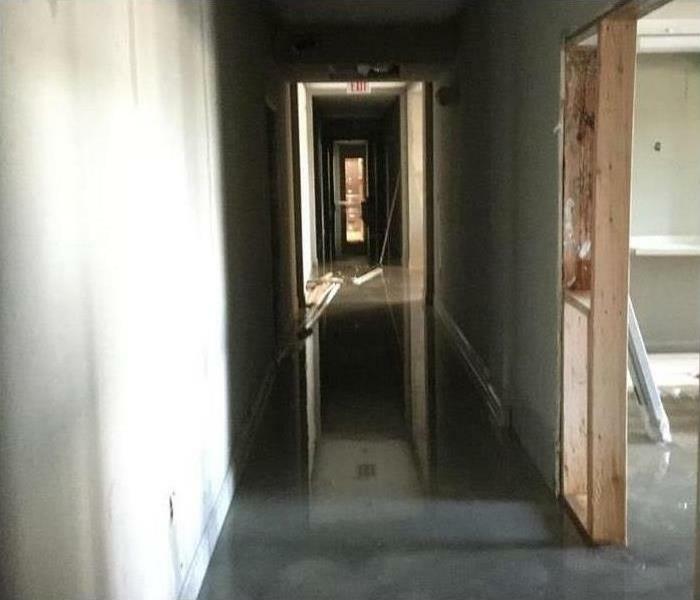 If significant damage is already present, your local commercial water damage restoration company should be able to help you complete remediation and drying processes in a timely manner to help salvage your property.